As promised I tackled the junk cupboard. 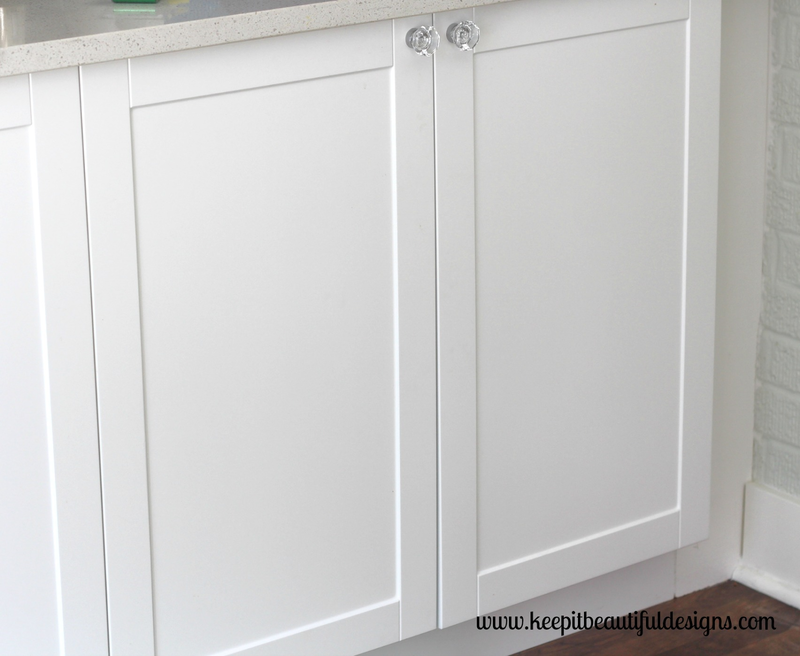 I feel like most people have a junk drawer and somehow when we did our "built-ins" for the breakfast room our junk drawer morphed to that room and turned into a junk cupboard. Yowza! It's been driving me crazy and it made me feel overhelmed every time I opened it to throw in more junk. 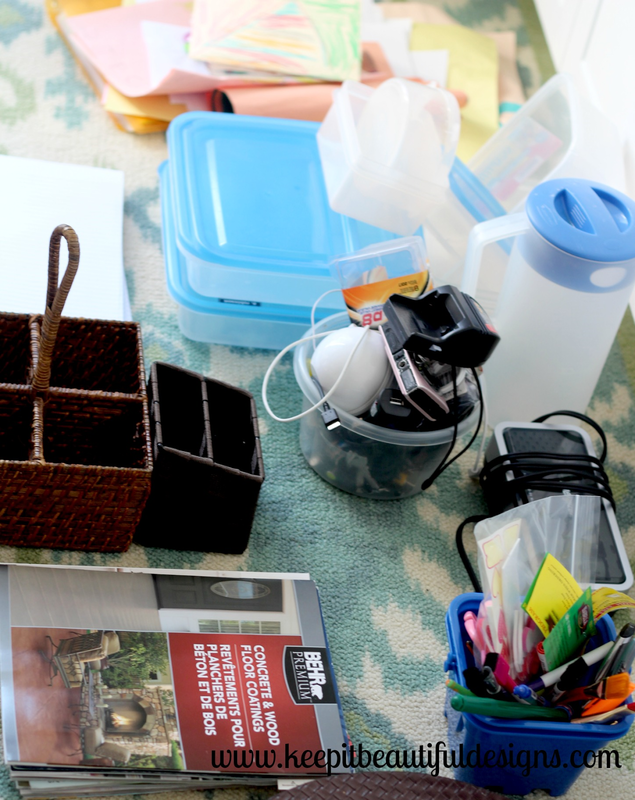 It was time to go from overwhelmed to organized! Here it is, I can't believe I'm showing you this disaster. Ready? No judging, we're friends right? I know you all have something like this. Okay fine, maybe it's not so dramatic, and likely doesn't have a baby bathtub shoved in there?!? BUT there must be a drawer somewhere in your house (likely the kitchen) where everything that doesn't really have a spot ends up. Please tell me you do!? 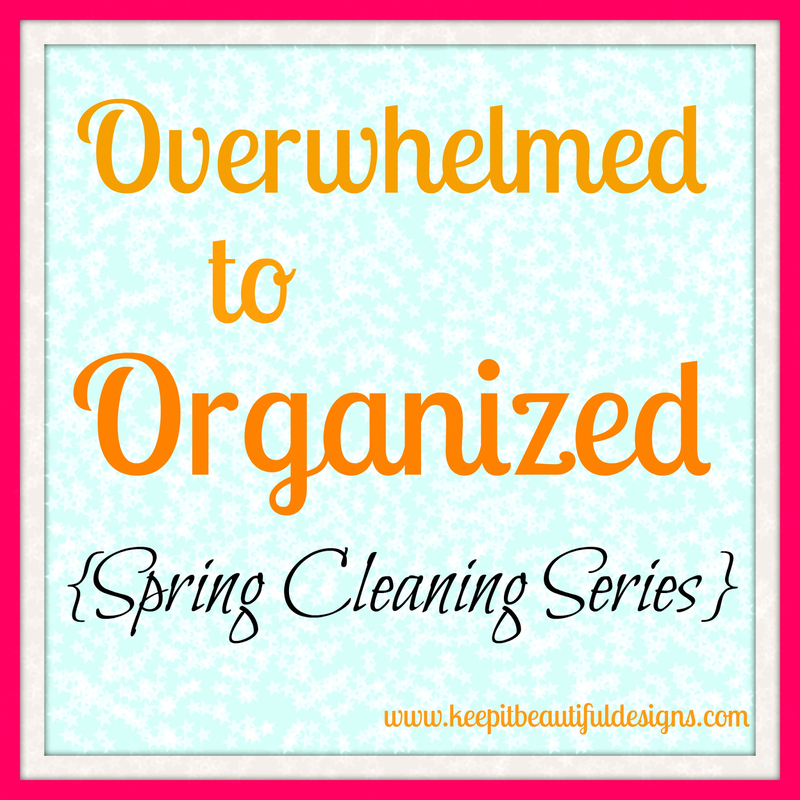 I've got a few tips to help you go from overwhelmed to organized and kick-start your spring cleaning! 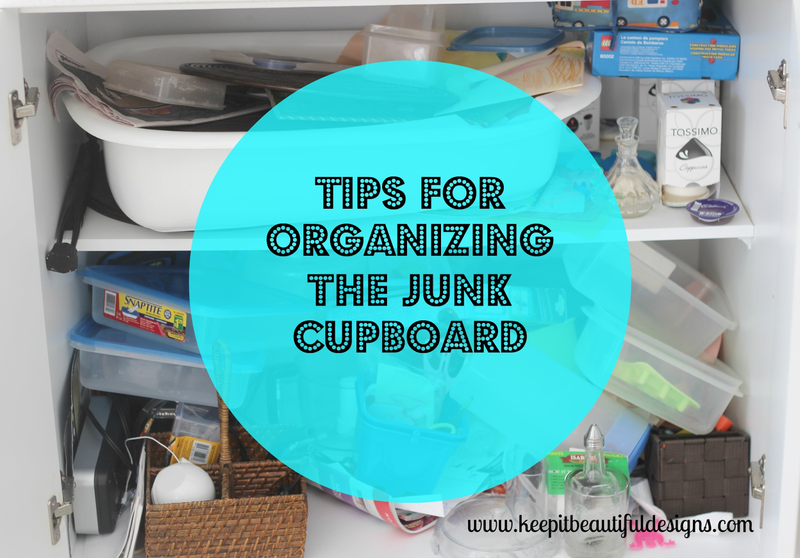 Get in there, put it all on the floor or the kitchen counter and try to organize it into piles. Don't forget to have a garbage bag ready because I bet most of it will end up in there. This actually took a lot less time then I thought. Why haven't I done this sooner? 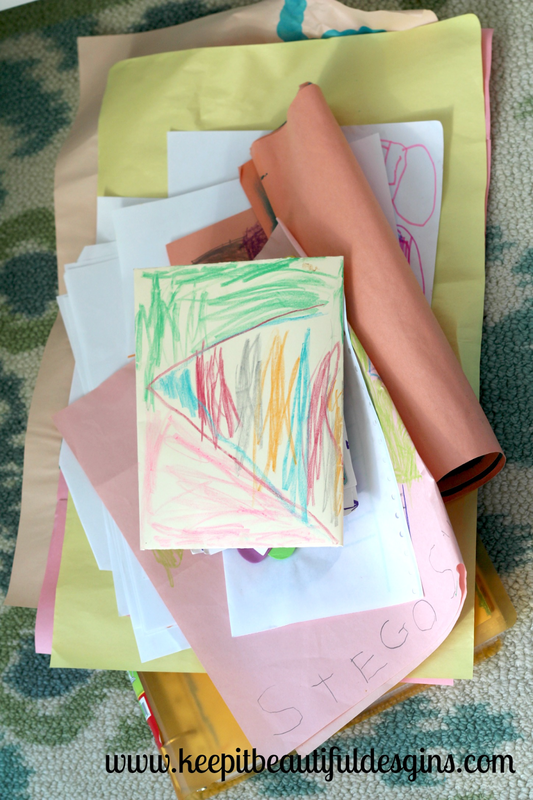 What am I going to do with all this art that comes home? Hmmm...that's another project! 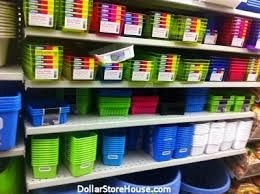 Your first thought might be to dash out to the store to get a whole bunch of bins and baskets. 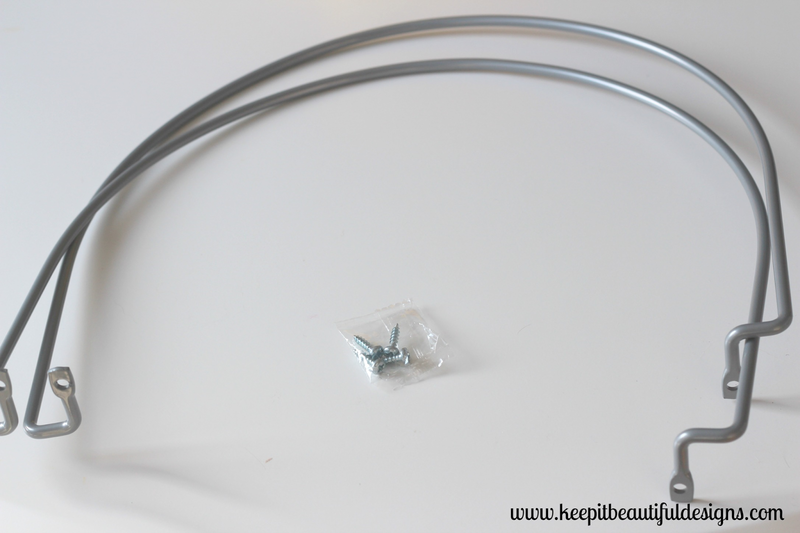 Before you jump the gun figure out what shapes and sizes you need. Nothing worse than getting home with a bunch of random baskets to find out nothing fits or you need more of something. I hit the Dollarstore (of course) and picked up these bins. 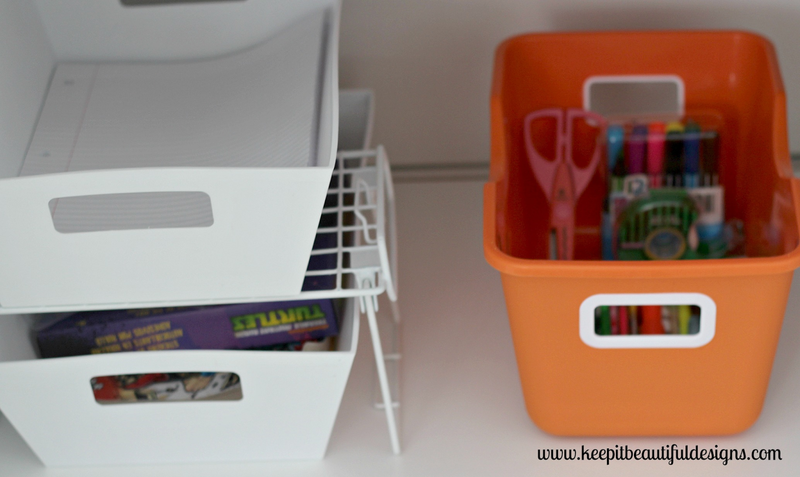 You know me and my love for white but I also got an orange bin for the kids' markers. This way they know this is their go-to-bin for colouring. I also picked up this little shelf that is supposed to be used for dishes but stacks the bins perfectly and saves space. I've also been trying to find a spot for my cookie sheets. I've been keeping them all in my oven which is a pain in the neck when I have to use the oven and take out all the cookie sheets, especially because I have no where to put them. Enter in a trip to Ikea. I bought these cookie sheet separators. This is the best part. Isn't it pretty? So organized! Nothing fancy, just totally calm. This junk cupboard has gone from overwhelmed to organized and it feels good. 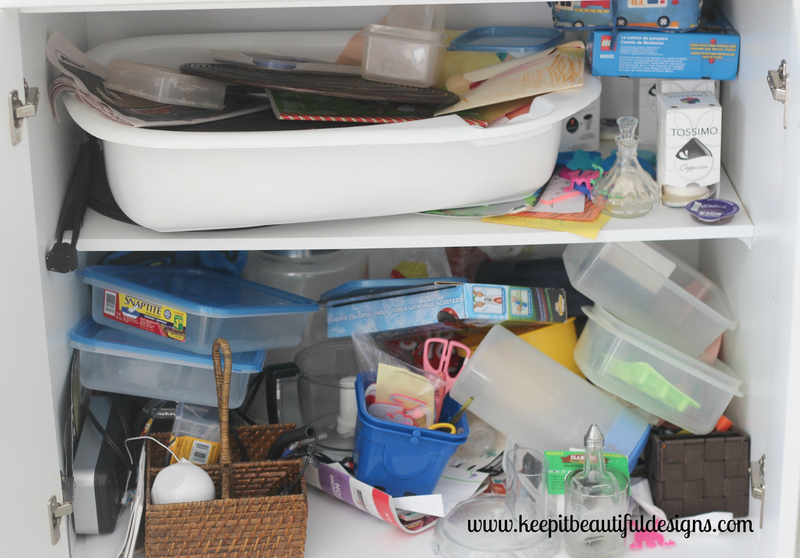 I challenge you this week to open up that drawer or cupboard that you've been ignoring and clean it out. You'll feel much better, I promise! The linen closet is calling my name next. Just when you thought my junk cupboard was bad...stay tuned! Wow, what a transformation! 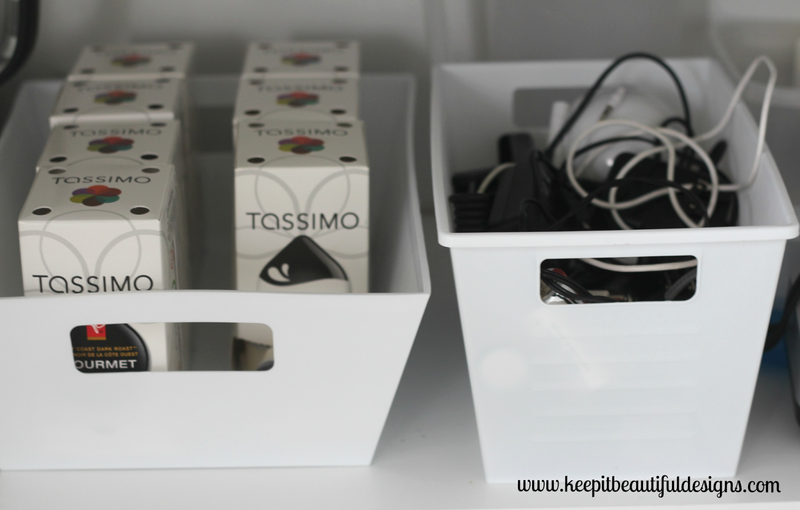 My bathroom cupboards could use a little organizing for sure. I'm sure I have at least a dozen half empty hair product bottles! 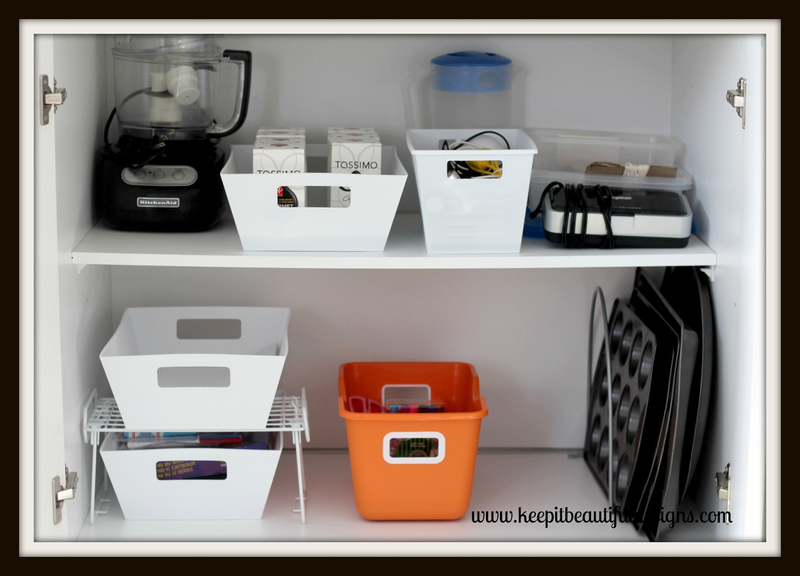 I love organizing and I love the way you made organizing a messy area so doable. Pinning! Looks so great. 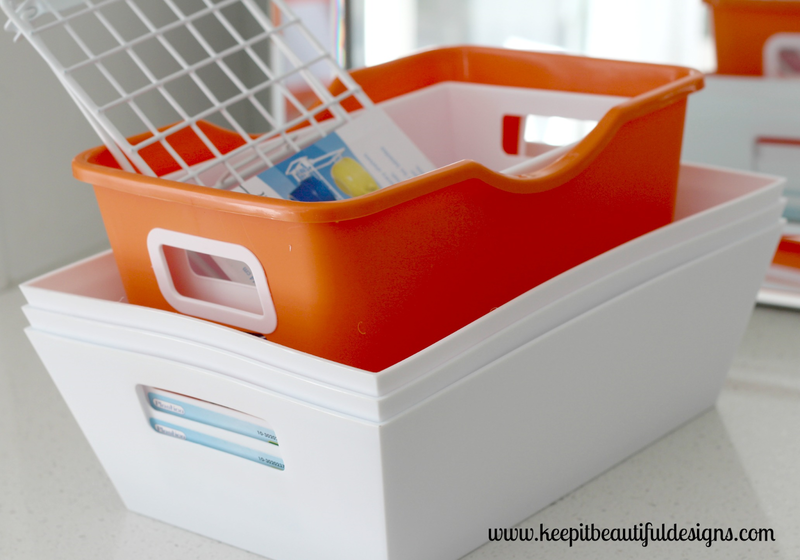 I love organizing and relish having an afternoon to do this. I keep opening the doors/drawers after to see how great it looks lol! That looks great now, the key is definitely the bins. Thanks and maybe, just maybe I'll tackle some of my junk drawers (did I say some?). I would love to open up my cupboards and see something just like that!